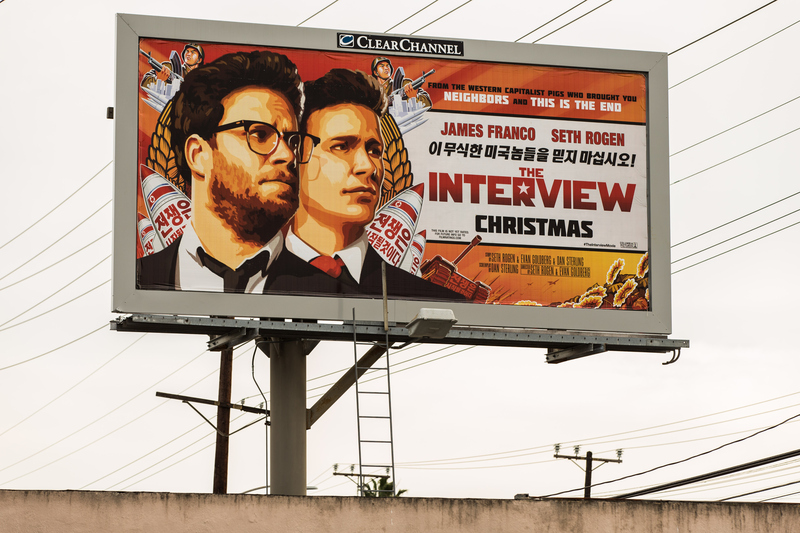 In what might be the ballsiest act of bootlegging in history, copies of Seth Rogen and James Franco's The Interview are being peddled on the black market in North Korea, Business Insider reports. The copies are selling for $50 a pop, according to Free North Korea Radio, which is astronomical for the black market in the totalitarian country— typical bootlegs from South Korea go for about $5. You'd never have thought that James Franco and Seth Rogen would be the reason that the North Korean government would secure their borders, but they apparently are. Per Business Insider: "North Korea’s State Security Department and The Ministry of People’s Security held an emergency meeting recently, and told its officers to make sure the movie doesn’t make it into the country under any circumstances." Regardless of how funny or entertaining the movie might be (and early reviews say it's not much of either), it is a small victory for the proliferation of free speech. That creative and individual freedom was at the center of the outrage from the public and Hollywood alike when Sony initially announced it would be pulling the film from all theatres for its original slated release on Christmas Day. Even President Obama admonished Sony for pulling the film, saying that to bow to pressure from the North Korean regime was a dangerous form of self-censorship that could lead to a slippery slope. As we know now, The Interview mocks and satirizes the North Korean government and its dictator, Kim Jong-Un. As Bustle's Michael Arbeiter notes, though, the film paints the tyrannical leader "in a surprisingly sympathetic light." Of all the fascinating and bizarre aspects of this intersection of global politics and the American entertainment world, the biggest question that emerges: how will North Korea continue to isolate itself in an age of such rapidly available digital media?